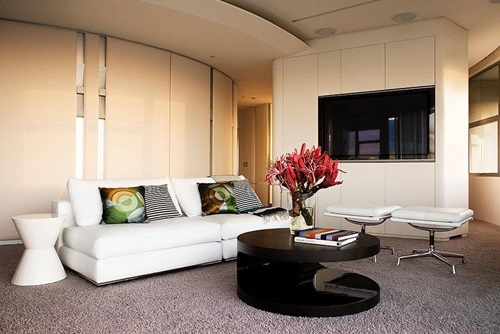 1- If your living room is not big enough, then you should do some tricks in order to make your living room seem larger. One of these tricks is colors of a room. 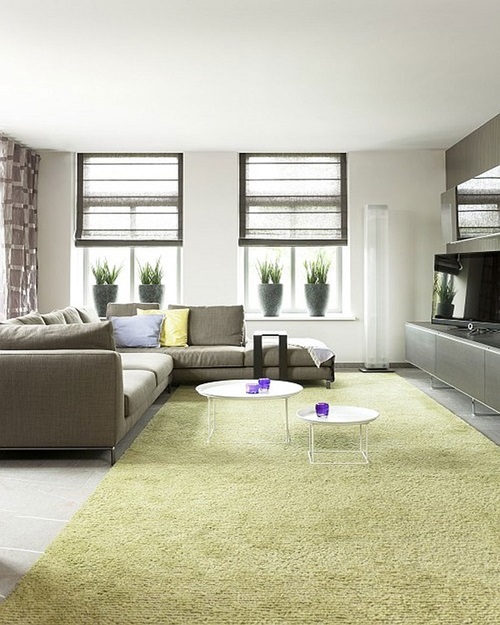 You should paint your living room with bright colors such as creamy, white, blue, purple or green. 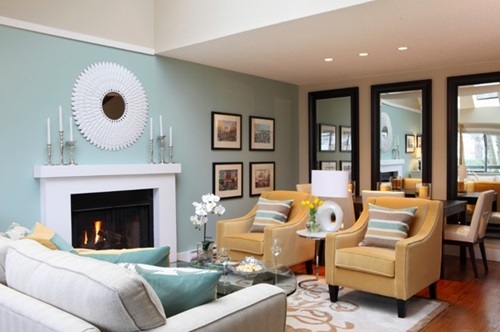 These colors will make your living room appear bigger than it really is. 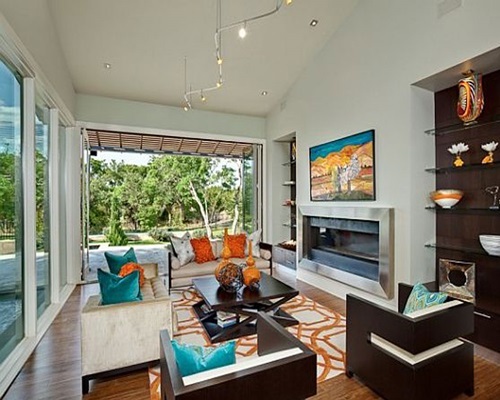 2- Keep in mind that color of the ceiling should be lighter in shade than walls. 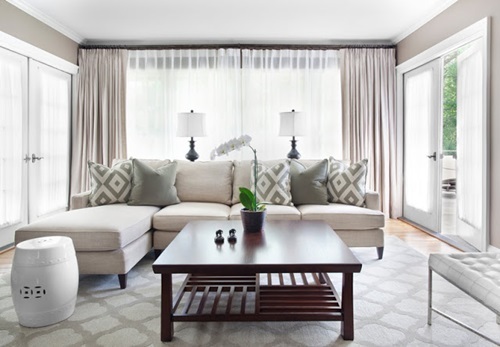 3- Another good trick to create space in your small living room is to remove items that you don’t use after that your living room will be clutter- free. 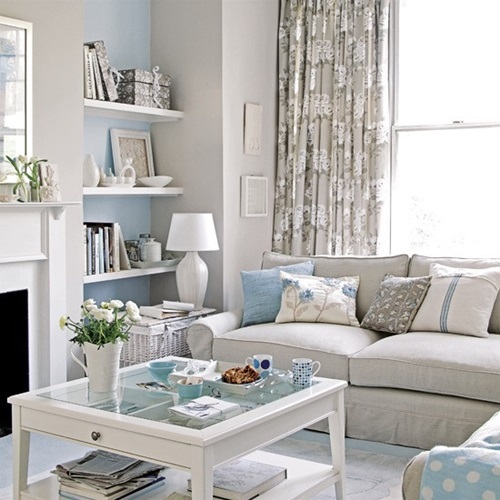 4- Likewise, arranging stuff in a neat way is necessary in your small living room to keep it out of sight. 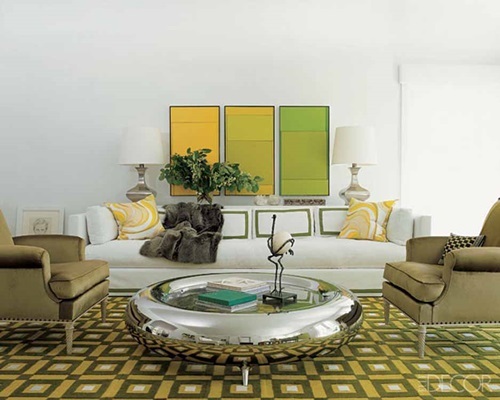 5- To enhance the overall look of your small living room, then you should paint your furniture items with colors that blend well with your walls colors. 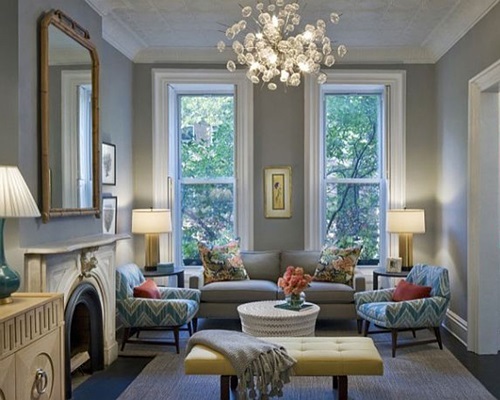 6- Lighting can also make a great effect in your small living room so you should keep the windows of your living room open most of the time to let the natural light in. 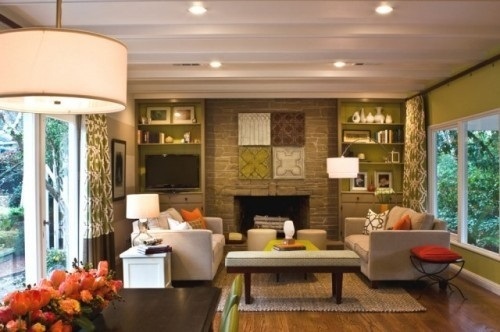 7- In order to create an extra space in your small living room, then try to get large pieces of furniture. 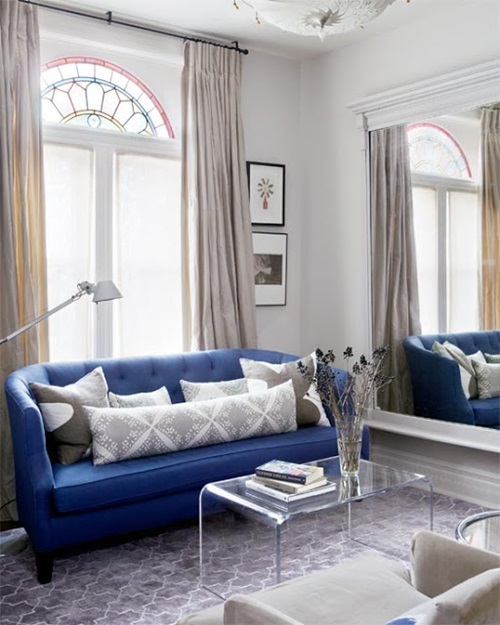 8- Mirrors have a great impression in any room especially in small rooms as mirrors assist in creating illusion of space. 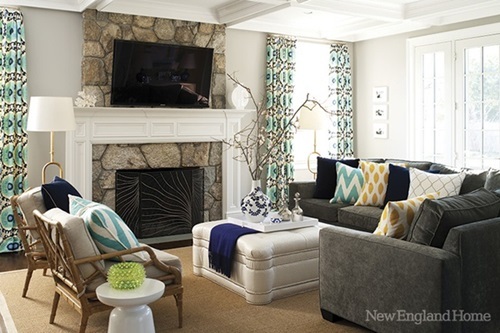 9- If you placed a rail of chairs along the wall, you will feel that your small sized living room became larger. 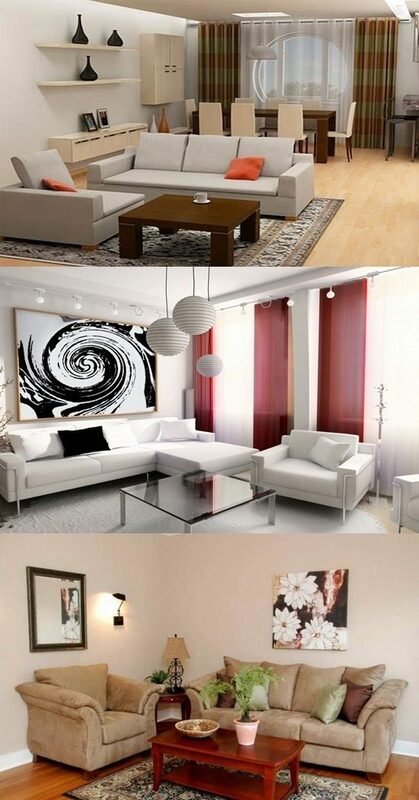 You can get inspiration from the following pictures about top 9 decorating tips for a small living room.